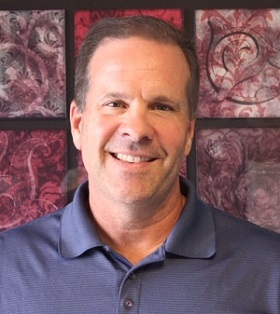 After graduating from Life College of Chiropractic West in 1996, Dr. Gerald Moran decided to start his career working as an Associate Doctor in the little town of Sunnyside. During his time there, he gained valuable experience, however, not owning the practice directly led him to the Tri-Cities to begin a new venture as Chiropractor/Owner of a Chiropractic practice. Now, leap twenty years ahead, Dr. Gerald still owns and operates a practice in Tri-Cities running out of a one of a kind gym, called Mission Accomplish, but also owns and operates one in the town of Yakima called Family Chiropractic Centre. As many people familiar with chiropractic know, no two chiropractors practice quite the same. Dr Gerald is no exception to this rule, however, twenty- two years in practice has taught him many things. Probably, first and foremost is his practice philosophy, which not only focuses on new methods and technology, but also utilizes old techniques as well. Thus, traditional old- fashioned adjustments are utilized daily in his practice alongside with newer technologies and practices such as: Digital X-ray, Instrument Assisted Soft Tissue Mobilization, Cold Laser Therapy and Kinesiotaping to name just a few. Most importantly Dr. Gerald believes that chiropractic is not just for older people in neck or back pain, but is a viable treatment option for those of all ages. In addition, Chiropractic is not just for those in pain or injured, but those concerned about spinal wellness as well. Lastly, although Dr. Gerald very much enjoys his position as Chiropractor, he has many other interests. These include the following: Hunting, Fishing, Hiking, Boot Camp Workouts, Church and hanging out with family and friends to name just a few. Stop on by either one of Dr Gerald’s practices and say hello. He is eager to meet you and address your needs! We’re here to serve you and help you live a better life.